My daughter bizarrely had a book about skateboarding from school today. This was a simple book for 7 year olds to teach reading – introducing a sort of encyclopedic look and feel, with diagrams and definitions of various parts of a skateboard (trucks, deck, wheelbase etc). This book also taught us both about the history of skateboarding back to the 50s; and how they were developed from scooters and roller skates. 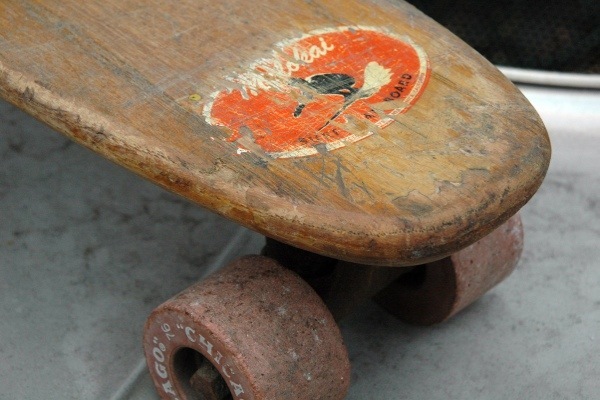 We learnt that early boards had clay wheels and some even used crushed nut shells in the compound! 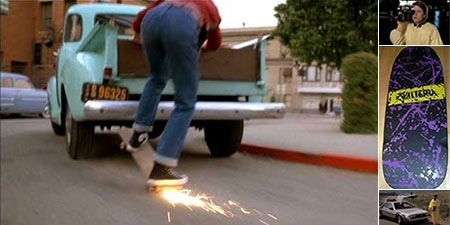 Also the book reminded me of Back to the Future when Marty rips the handles off a scooter and maybe inadvertently invents the skateboard! So everyday is a school day and even sitting reading a book with a 7 year old you can learn something at the age of 41!